Welcome to the adding IVR section. Here you will find how to add and edit IVR’s. Options in bold are mandatory. Greet Long: The long greeting when entering the menu. Greet Short: The short greeting is played when returning to the menu. 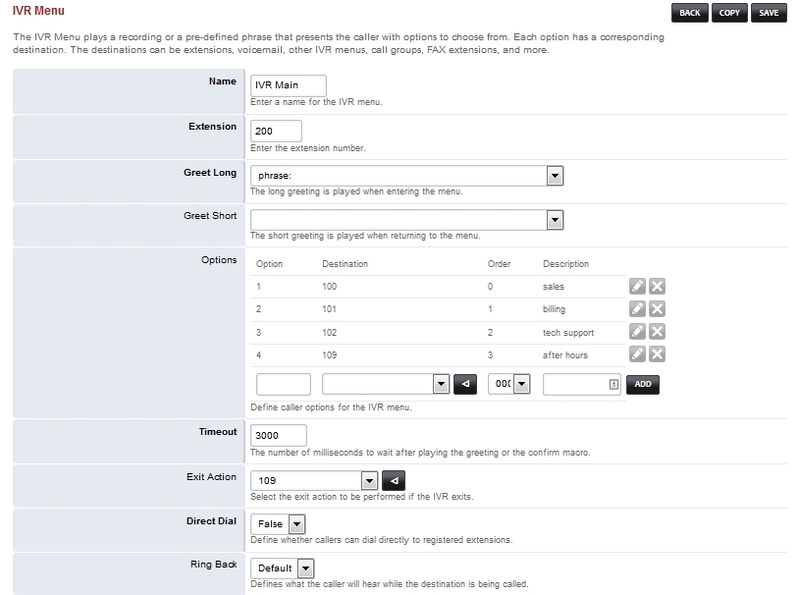 Options: Define caller options for the IVR menu. Timeout: The number of milliseconds to wait after playing the greeting or the confirm macro. Exit Action: Select the exit action to be performed if the ivr exists. 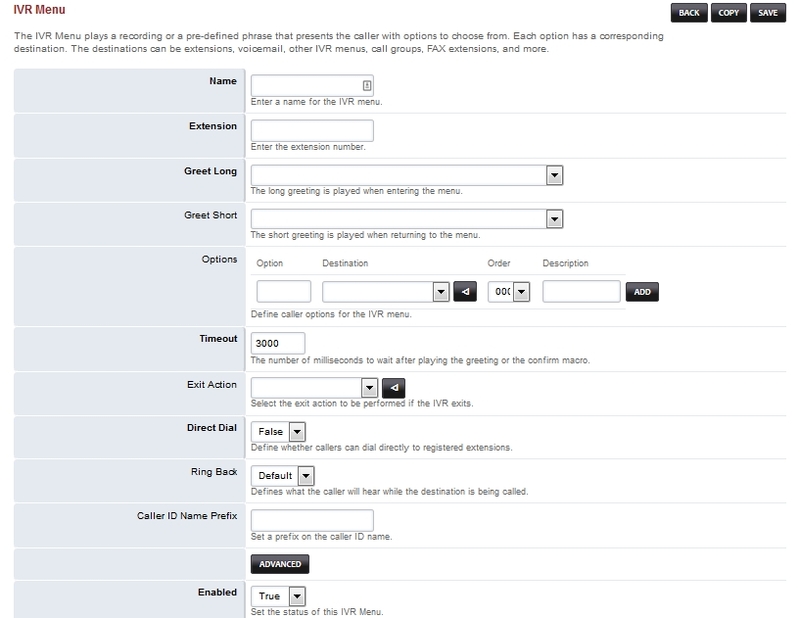 Direct Dial: Define whether the callers can dial directly to registered extensions. Ring Back: Defines what the caller will hear while the destination is being called. Caller ID Name Prefix: Set a prefix on the caller ID name. Enabled: set the status of the IVR Menu. Direct Dial to False and Ring back to Default. You now have a list of IVR’s to go back to and edit or delete as needed. Click the link above for IVR default settings.